However to deny the families that are suffering due to abysmal health care facilities in West Bengal, their right to health insurance, on such a flimsy ground is nothing less than a crime. West Bengal is today, what late demographer Ashish Bose would have called a “Bimaru” state. A state with immense potential, but stifled by policy paralysis, stagnant growth and lack of employment opportunities, attributable to the inept and corrupt politicians and bureaucrats. 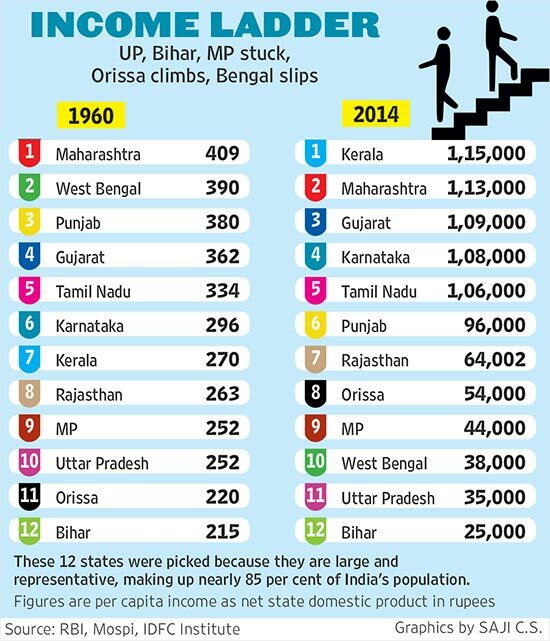 This chart by Outlook captures how, West Bengal, once a pioneering state in India, has today been relegated among its poorest. In 2014, West Bengal had a per capita income (measured as Net State Domestic Product and not as part of GDP) stood at Rs 38000. It is estimated that in India, 70% of the total medical expense are borne by individuals from out of pocket expenses. This means, we are paying Rs 70 from our pockets for every Rs 100 we incur in medical expenses – diagnostics, medicine, patient transport etc. In the absence of a proper health insurance or government health-care initiatives, those from economically marginalized sections of the society feel the burden of crushing medical expenses, and on an average over 63 million people fall into poverty due to lack of financial protection for health care needs. Now juxtapose this scenario in a poor and debt ridden state like West Bengal, where roughly 30% of the population or 3.5 crore people are listed as Below Poverty Line (BPL), and even those who are not only earn Rs 55000/year. Any serious illness could mean, the family’s savings could be wiped out entirely. To add to the collective woes, West Bengal has decreased health care expenses over the years. Given the abysmal state of healthcare in West Bengal, the chances of a family being pushed to poverty raises substantially due to serious illness, which require expensive medical treatments. 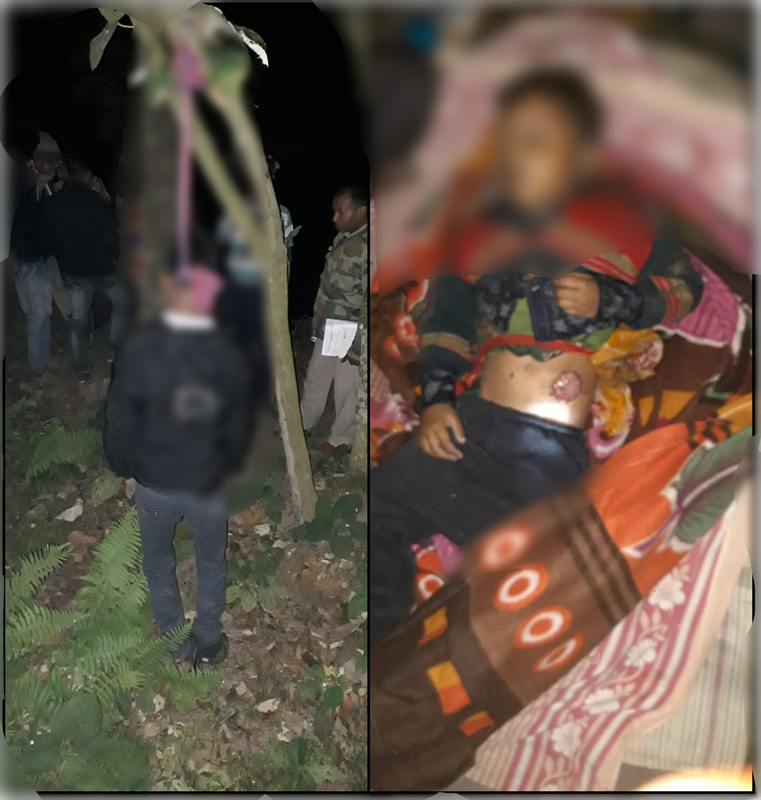 In December of 2018, we had reported how an Adivasi father Pandit Oroan from a village Alipurduar had committed suicide after killing his 3-year-old child Abhiraj Oroan, as he didn’t have the funds to pay for a simple operation that would have taken care of Abhiraj’s birth defect. For some one who earns Rs 100 a day, even Rs 10000 is a huge amount. 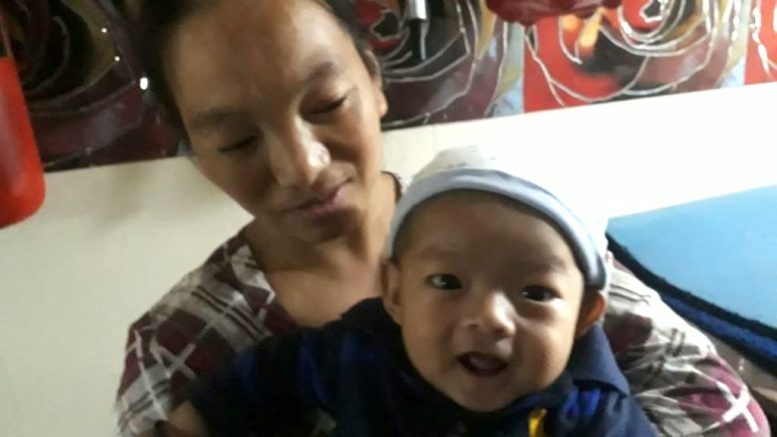 Their deaths were avoidable, only if, Mamata Banerjee government had the humility to permit Ayushman Bharat insurance scheme to be implemented in West Bengal. On almost a daily basis, we get mails from our readers, requesting us to appeal for funds from the general public towards their medical treatment. Since our formation, we have collected funds towards treatment for many; however we came to realize that raising funds from the general public won’t resolve our dire health care needs. We cannot ask for donations every day, and we cannot discriminate – ask for one and not ask for other, which is why we have altogether stopped posting request for donations for medical expenses. However, that doesn’t help either. About four days ago, one of our readers from Kolkata Mr. Mithun Chakraborty had sent us a similar request for raising funds. He has been helping a family from Maneybhanjyang. 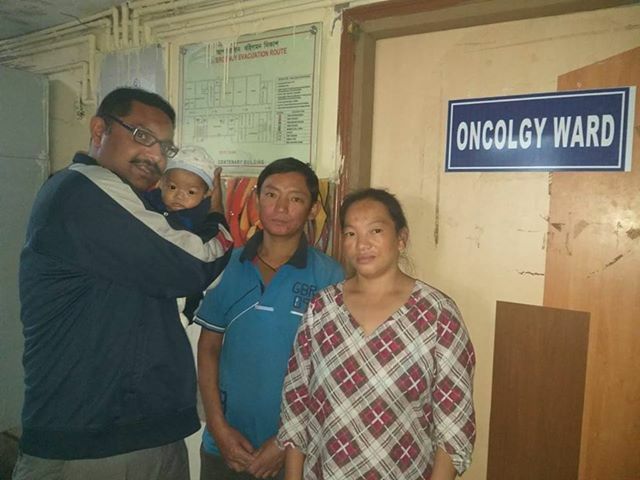 Their baby Punol Lepcha has been diagnosed with Cancer and is undergoing a treatment at NRS hospital in Kolkata. We explained to him, that we will do our best to help, and we are doing so by reaching out to our elected representatives privately, urging them support the family through PM and CM relief funds. As you all know government process takes time. Our request so far hasn’t elicited proper response. However yesterday Mr Chakraborty wrote, “So sad that you didn’t post this information in the page. Maybe because I am a Bengali – Isn’t it DC?” this broke our heart. We don’t know what to write back to him, or how to explain. Hence, this editorial. We request all those who are reading this. If you have any reach in the West Bengal Govt, please tell them to implement Ayushman Bharat – they can call it Mamata Bangla, instead of Ayushman Bharat if they want to. But because of their ego fight with the Center, poor people here are suffering. This criminal denial of health care privileges to poor needs to end. Otherwise people like Pandit Oraon will continue to commit suicide, and children like Punol and their families will continue to suffer. Let’s work together to get the health care rights for everyone. 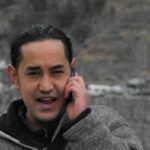 A prolific writer and thinker, he has written on Darjeeling and related issues like – Gorkhaland state and its economic viability, the rights of tea garden workers, socioeconomic development in the region, governance and related issues for the past 12 years for local and national media outlets. 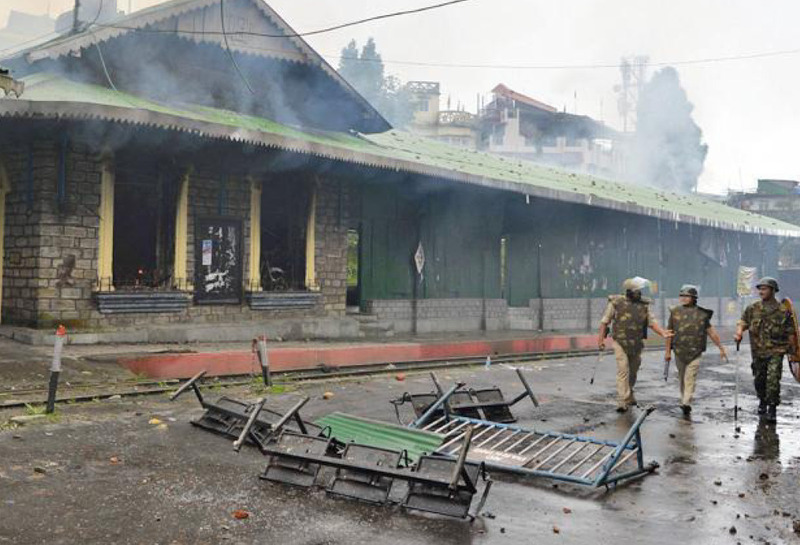 He is the Founder Editor of The Darjeeling Chronicle, and has appeared as an expert panellist on national and international electronic media platforms like NDTV and Al Jazeera. Be the first to comment on "Non-Implementation of Ayushman Bharat in West Bengal is a Crime Against the Marginalized ﻿"